C E R N the Opening of the Abyss? Immigration: A Nation-Destroying Weapon of War! We've played this game for too long now. Decades in fact. We keep waiting for the "other" party to ride in on their white horse and save America. Bad news, it ain't gonna happen. The fix is in and it has been for a long time. The media plays their part in pushing the left vs. right paradigm and American's dutifully choose their sides. Meanwhile, under either party, things continue to plunge downward year after year. Skyrocketing debt and endless wars don't change. Open borders don't change. The era of "big government" rolls on and worsens with every new Congress, every new President. 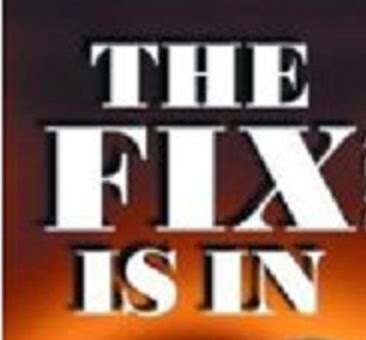 The fix is in, and it has been in for quite some time. America is being played. There is but one Savior who rides a white horse and He is neither a Democrat nor a Republican. Let us pray that America awakens from its zombie state sooner rather than later. As it has been said, we need to see with "real eyes, to realize, the real lies". -W.E. Senator Jeff Sessions (R., Ala.) suggested that House Republicans are on the verge of breaking their campaign promise to fight President Obama’s administrative amnesty, judging by the legislative text currently being circulated. Sessions said that the proposed language “fails to meet [the] test” established by Republican National Committee chairman Reince Priebus, who promised earlier this year that the GOP would do everything possible to thwart Obama’s executive orders. “The executive amnesty language is substantially weaker than the language the House adopted this summer, and does not reject the central tenets of the President’s plan: work permits, Social Security and Medicare to 5 million illegal immigrants — reducing wages, jobs and benefits for Americans,” Sessions said in the statement expressing his dissatisfaction with the results of a House Republican conference meeting today. In the meeting, “the lawmakers began coalescing around a two-part plan that would allow a symbolic vote to show their frustration with President Obama’s executive action on immigration, before funding the government ahead of a Dec. 11 deadline,” according to the New York Times. Sessions wants Congress to attach a rider to the government-funding bill that prohibits Obama from implementing the orders; his office released a list yesterday, compiled with the assistance the Congressional Research Service, of instances in which Congress did just that on a variety of issues last year. To those inclined to worry that using the spending power would backfire on Republicans, Sessions suggested that economic populism would lead to a GOP victory. Presidents #25 and #35 Were Assassinated, Will #45 Be Next? Invasion: Death of a Nation! How to STOP Mass School Shootings in America! And Anywhere ELSE! Two American Soldiers Detained by Mexican Troops NORTH of the Border! White Girl Bleed a Lot. Big riot in Chicago. Everyone knows 500 fellas and lovely ladies were creating the violence at the Magnificent Mile. Everyone except the reporters. A new podcast from Colin Flaherty.